J.P. Massar remained with the team which deals in card counting since the start. He was included few of those students who were enrolled in MIT's mini-course. The theme of that course was, to take the strategy of Blackjack game very seriously if you want to win the Gambling. 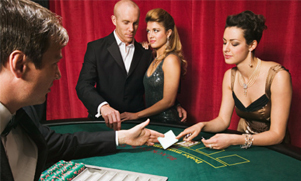 He has constructed his MIT Blackjack team after recruiting some of the best players. He has attained a lot of luck and fame and he has got success in winning millions of dollars throughout U.S. In the month of December 1980, the new members of the team visited the Atlantic City so that they could get the advantages of the new rules that have been made for Casinos. According to the new rules, it had become illegal in order to leave, to ask card-counter. The team attained marvelous victories and raised their bankroll from $5000 to $20000 within a week. However, with the initial marvelous victory, the players started to lose consistently. Due to continuous loss, J.P. Massar and other players got disheartened and the hence the team broken up. J.P. Massar was not completely disappointed and he didn't remain quite for long. He met Bill Kaplan in a restaurant in Cambridge. Bill Kaplan was a Harvard graduate who had developed a winning team and had been succeeded in generating millions of dollars. Massar invited Bill Kaplan to come and observe the performance of MIT team. Kaplan agreed and met with the team members in Atlantic City. Although it didn't take much time to determine by Kaplan that what kind of problems the MIT team is generating during game. Kaplan informed Massar that your team uses to play complicated card counting and they don't remain fixed on the same strategy. They keep themselves busy in fighting with each other and don't give stress on playing the game. On the invitation of Massar, Kaplan agreed to couch the team members until they would generate the skills to play the game seriously rather than to play for fun. Massar and Kaplan made a new team with the bankroll of $89,000. Kaplan and Massar made new rules and according to them the players had to use uniform strategy of card counting. Each player had been assigned a probition period and during that time his performance had been observed in order to avoid mistakes. 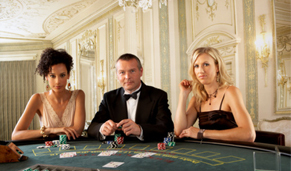 The team has developed a long success history of about 10 years which is regarded as card-counting success. Their investment had also grown up successfully. However; in the year of 1990, due to changes in the rules of Casino related to the security, the team morale declined. The members started to develop tiredness and fatigue in order to avoid security. At that time, Massar has taken the break from the MIT team of Blackjack. Just after two years, Massar has introduced Johnny Chang in order to develop a new MIT team and to train the members for getting success. All the partners have created a registered partnership in the team. They increased the initial investment up to one million dollars and thereafter, a long term success started for an indefinite period. However; the Casinos came to know the strategy that how they get success and hence the Casino security is increased too much. At that instance, Massar resigned from the MIT team, however; he continued to take part in logical gambling. After that he started to take part in poker and then became the coach of MIT graduate R. Varkonyi who had won 2002 World Poker series. Nowadays, Massar is engaged in coaching his cards and using his mathematical skills in Texas Hold' Em Tournament.